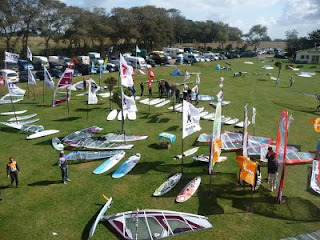 What a great event, saturday was just the best "windsurfingevent-day" since a while. Wind was something like 5-6 Bft, with gusts reaching to 7bft. 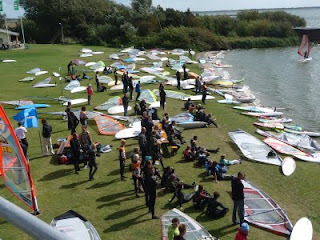 Lots of freestylers/freeriders/speedsurfers/slalomsurfers and even some big gear on Sunday. It was great to see everybody smiling and from what I have heard the testfavorites were Tabou Threestyle/ Rocket but also Fanatic Ray/freewave. 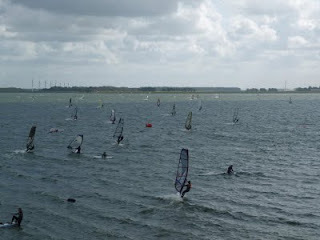 Many talented windsurfers, also a lot of young guys/girls! 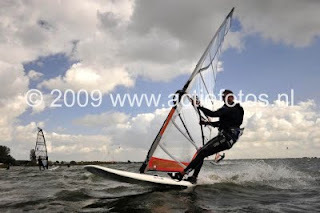 At one moment the water was really full, never experienced this on the Amstelmeer. For me the last few days were wonderfull, Thursday/Friday big speeds (79/77kmh) and saturday some freeriding with my new favorite fin Sonntag SL-S 320, turned out into 67.7kmh and 64kmh+ average. Make sure you'll be there too next years windexperience!! !